Our Puttenahalli lake never ceases to surprise and delight us. Usually it is a new bird that we spot in the water or flying around, doing a recce. The water level rising gives us another high. Trees shooting up, especially during the rainy season. A new flower, butterfly, dragonfly, an insect never seen before, a snake crossing the path…. 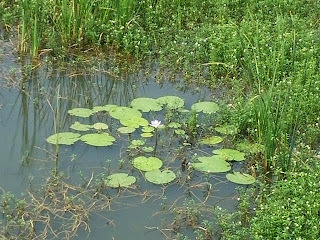 the list goes on but this is about the Water Lily. We’d planted pink water lilies at various places in the lake late last year and watched with delight when they caught on and started flowering. 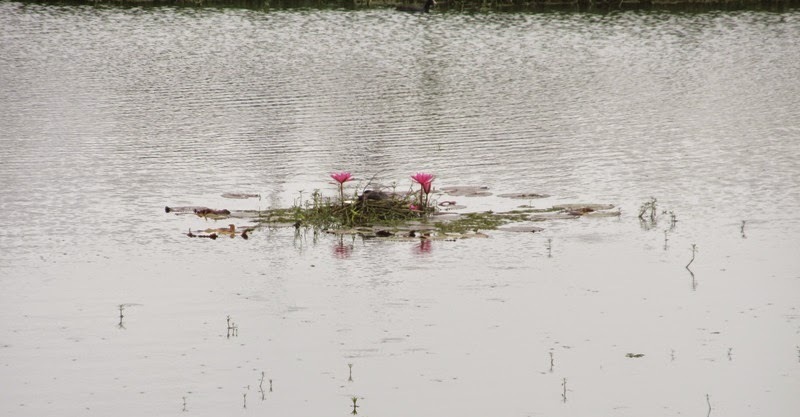 Our ecstasy turned to agony when a Common Coot decided to build its nest right in the middle of the water lily! Sure enough, it killed the plant with its nest, the eggs hatching, the chicks going all over the leaves and the flowers. We could do nothing but watch the lily die, its end hastened with the onset of summer evaporating the water in just those very spots where we’d planted the lily. Monsoon began. 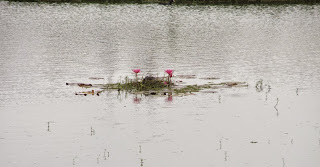 The rains are still not as much as last year but the level has improved and two clusters of water lily sprouted near the viewing deck. Hmm.. We didn’t remember planting any there but perhaps we were wrong. We waited for the familiar pink flower. Today it bloomed and what do you know? The flower is not pink in colour but white!